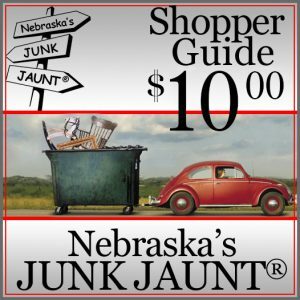 You may sell NEBRASKA’S JUNK JAUNT® Souvenirs, ONLY WITH PERMISSION from the JUNK JAUNT® organization. 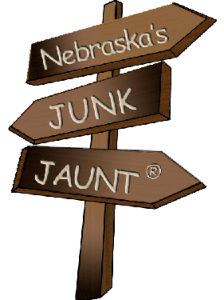 Nebraska’s JUNK JAUNT® is a REGISTERED TRADE NAME (note the ® at the end of the name). It is illegal to use a Registered Trade Name without WRITTEN PERMISSION from the Trade Name owner. 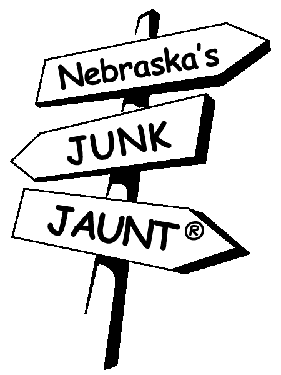 ROYALTY FEES are charged on all merchandise carrying the name of Nebraska’s JUNK JAUNT® or JUNK JAUNT® logo. Permission to use the Nebraska’s JUNK JAUNT® name is simple to obtain. Download the printable steps required for Trade Name usage. 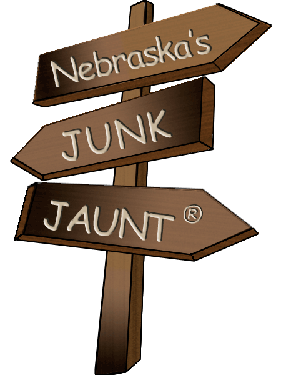 The names, “JUNK JAUNT®” & NEBRASKA’S JUNK JAUNT®” are protected by Trade Name. Our logos (below) are both Registered Trade Names. It is illegal to use a Registered Trade Name without the WRITTEN permission of the registered owner. 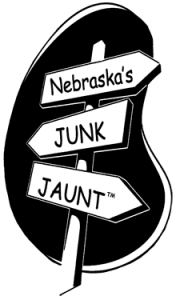 Any use of the JUNK JAUNT® names or logo are subject to laws of Registered Trade Names. To obtain permission CLICK HERE.